It had been an uneventful evening for two traffic officers on duty in North Wales, interrupted by the occasional speeding motorist. Then in the small hours a routine call takes them to a road traffic incident on the Crimea pass above Blaenau Ffestiniog in the mountains of Snowdonia. Inspector Ian Drake is woken in the early hours after little sleep. He arrives at the scene as the first glimmer of morning sunshine breaks over the mountain peaks. The cool of the night chills his skin but as he walks towards the patrol car he chokes back his anger at the sight of two dead police officers. Drake recognises the words, knowing that more deaths are inevitable and that he has a race against time to find the killer before he kills again. The post mortem uncovers the grim evidence that both men were killed with a crossbow fired at point blank range. And with the pressure from his superiors intensifying and the spotlight of the media on the investigation Drake has to keep himself together or else risk his career and face the effect it is having on his family. But what do you do when you have no idea what the killer's messages mean? Especially when the killer seems to know about Drake and his obsessions and his rituals. Or does he? When the killer involves Drake’s family he knows it is personal but when he thinks he's made a breakthrough the pressure tells even more. 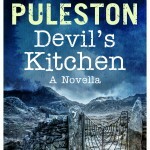 Join my Readers Club and I'll send you the prequel novella Devil's Kitchen FREE. Complete the box opposite to join my readers club. Your privacy is important to me. Your details will not be shared. You can unsubscribe at any time. 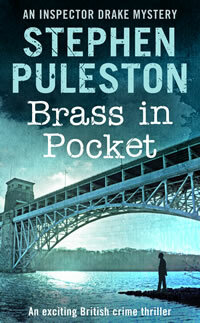 Brass in Pocket is the first in a series of Inspector Drake novels set in North Wales.The second of the series Worse than Dead is also available as an e-book as is the third Inspector Drake mystery Against the Tide. 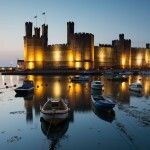 Inspector Drake novels are based in North Wales an area rich in history and culture stretching back for many centuries . Wales is famous all over the world for the spectacular castles of Edward 1 from the thirteenth century and for our wonderful scenery and mountains. 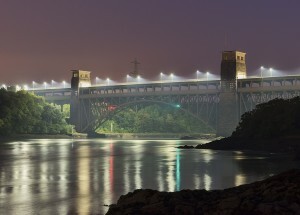 The area is bilingual and Welsh is one of the oldest European languages and still spoken all over Wales. I’ve added a gallery of locations featuring some of the scenes and areas mentioned in the book. I hope that you enjoy the novels. 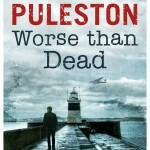 Do please follow me on Twitter or Facebook - I'd love the hear from you.